I first used gouache while I was in my first year at Sheridan College taking Art Fundamentals. We used it in our 2d Design class, and I had never heard of it, and had no idea how to pronounce it either. Fast-forward to 2019, and it’s one of my favourite painting mediums, albeit with some initial struggle and then a long break-up in between. I’ve used gouache and ink to paint my entire first children’s book, Sayni and the Windowjet Brothers. It is an incredibly flexible painting medium, that became most popular in illustration and other commercial art. It is over 600 years old! The word gouache came from the Italian word guazzo, which is Italian for "mud", and was originally a term applied to the early 16th century practice of applying oil paint over a tempera base, which could give a matted effect. Gouache became very popular for its opaque characteristics, versus watercolour which is more translucent. While most of my work below involves imaginative stories, we will be working from still lifes, which is one of the best practices in developing proficiency with a medium as it challenges us to see the highlights and shadows, colours (both brightness and saturation), and composition on the page. However, in my class, we’ll be primarily using watered down gouache in a layering process which is similar to the way the famous Comic Painter, Alex Ross, uses it. 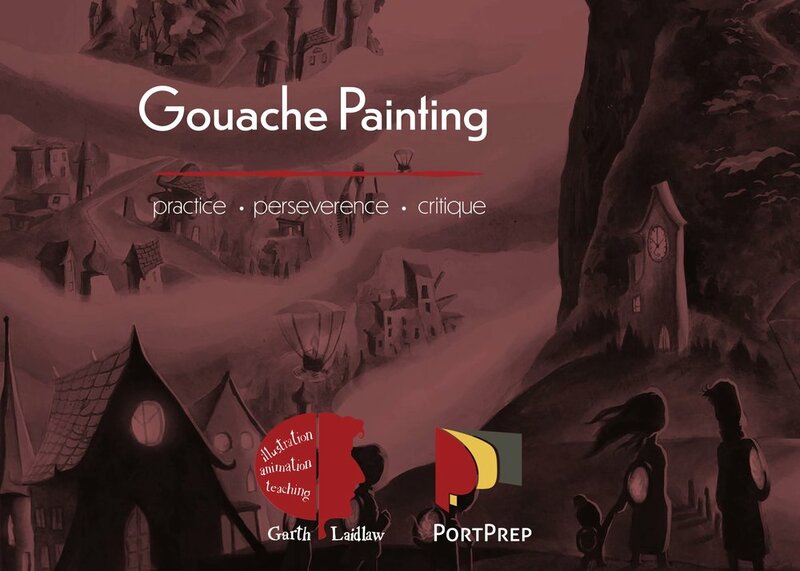 I’m very excited to be teaching this class on such a great painting medium, and I’m looking forward to seeing what art you can create with it! There are only 8 spots available, the early bird sale will be on until March 31st 2019.